Takko Tuesday! - Gemini - Polish Etc. I have the last shade in the second installment of the Zodiac Collection from Takko Lacquer to share with you today. Preorder for the three new shades just ended but you can be sure to see these beauties up for sale after the preorders go out. And you can always pick them up at Polish Con in a few weeks! Are any of you guys going? I'll be there helping out at the Takko booth, so be sure to stop by and say hello. Let's take a look at Gemini! 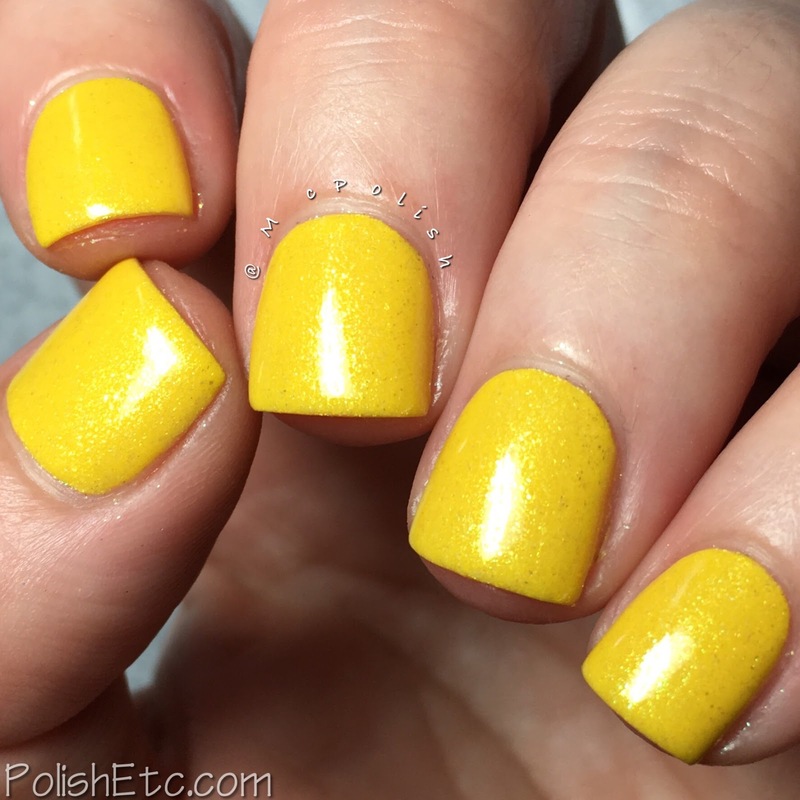 Gemini - A lemony yellow creme that is packed with golden and green microshimmer. The green shimmer shifts around nicely against the bright yellow background. I feel like this shade of yellow would be flattering on a variety of skin tones. And the formula is quite good for a yellow polish! I am showing you two thick coats with top coat here and I had good coverage. You may prefer three thinner coats though. We are half way through the Zodiac Collection. There will be two more installments of three polishes released later this year. Sheryl will cover all 12 Zodiac signs. Stay tuned here and on the Takko Lacquer social media for the most up to date info on releases and restocks!